E ducation has power; it’s more than learning to read and write, it has the ability to transform lives by giving individuals the opportunity to reach their full potential and contribute positively to society. 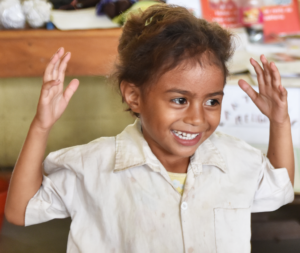 In Timor-Leste, with literacy rates of only 58%, the challenge continues to use quality education in both schools and homes. Access to education early in life is vital for children’s long-term development and thanks to your ongoing support, MMI’s Parents Education Program not only empowers but provides the skills and knowledge for parents in remote areas to positively contribute and engage in their children’s learning in the home from a young age. Working hard in the fields in rural Bairo Wekiar, Maria Pereira did not have access to support materials or the basic education on how to encourage her children’s learning before and after school. 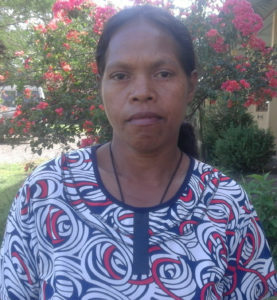 After accessing MMI’s Parents Education Program, Maria expressed that she learnt invaluable skills and gained essential understanding of child development and her role as a parent. With this new knowledge and confidence, Maria can now help her children achieve the best possible start to their education. In Papua New Guinea, only one in three children currently complete their basic education. MMI’s Early Learning Program, in partnership with Buk Bilong Pikinini, aims to increase school readiness and early literacy skills for young children aged between 4 and 6 in remote communities. Access to high quality and effective early childhood education and resources will increase the chances of children completing school and ultimately transforming their lives.